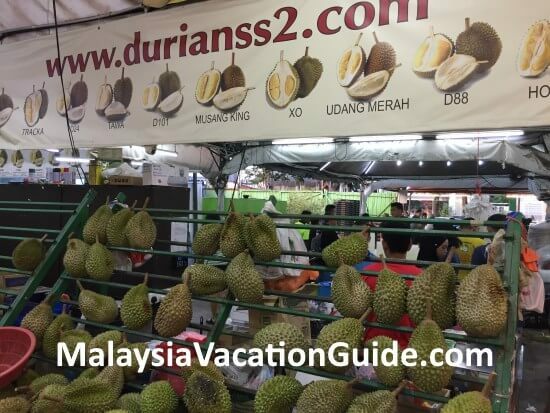 If you are looking for durians in Petaling Jaya, head for Jalan SS2/24 which is located beside the Sea Park police station or Jalan 19/3 where the front of the stalls face Jalan Harapan. 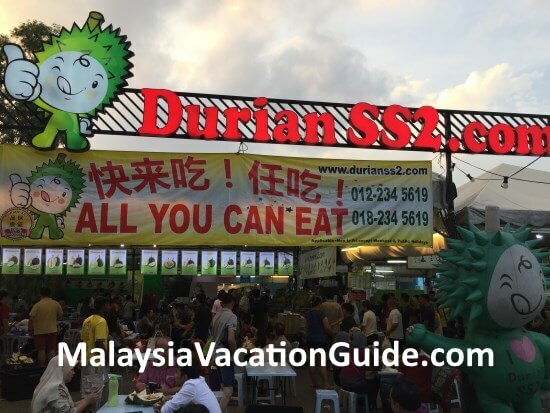 The stalls are usually opened from noon until midnight during the peak durian season from May to Sept and Nov to Jan. 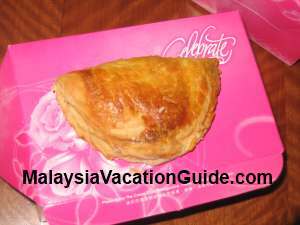 However, they are also open during off season whenever this king of the fruits are fruiting in various parts of Malaysia. 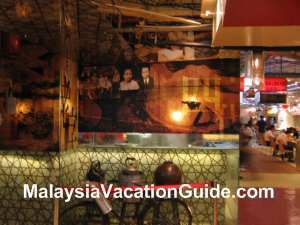 These stalls are open-air stalls with basic washing facility and water. The thorny King of the fruits placed on the racks at the stalls. 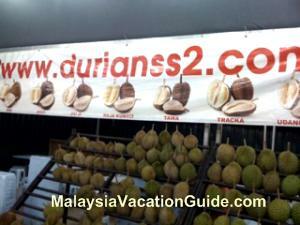 The price of the durians "kampung" starts from RM15-20/kg depending on the supply for the season. Lower price is usually lower in grade though you may not be able to differentiate the taste of this fruits if you are new to them. 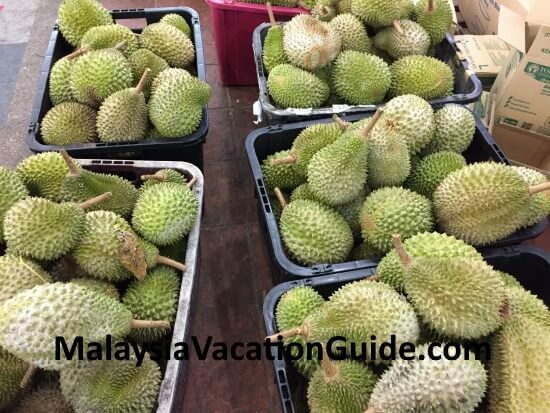 If you have been eating this fruit, you may want to try the premium grade types such as Musang King or also known as "Mao Shan Wang" in Chinese, Udang Merah, Traka, D101, Jiu Ji, Tawa, Mas Pahang and D24. 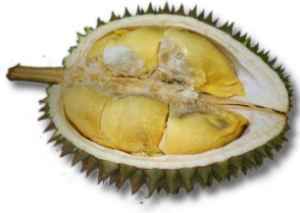 The Musang King price can go up as high as RM60/kg but when the harvest is good, it can go down to RM20/kg. 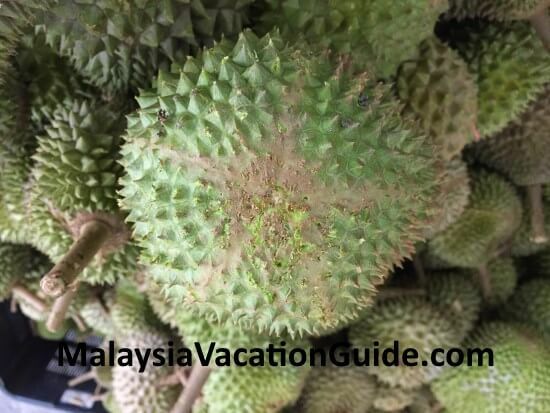 If you are new to this fruit, you may not like it initially as it gives a strong smell. Many hotels and restaurants forbid this fruit in their premises due to this reason. 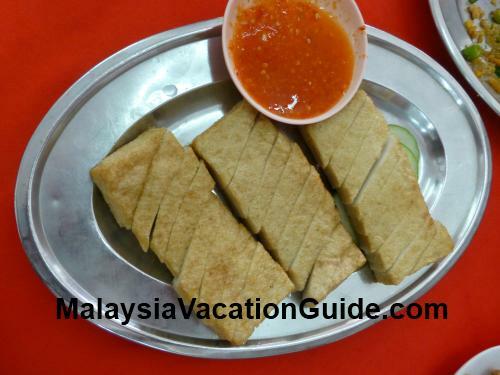 Most westerners do not like it on the first try but there are also many who have acquired the taste and have been enjoying this fruit especially those who have been in this region (Thailand, Malaysia and Indonesia) for some time. Drink plenty of water after eating the fruit. 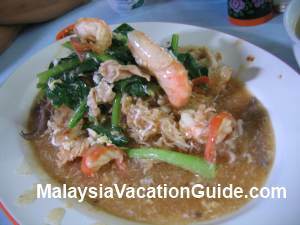 Eating and drinking with coconut juice are recommended. 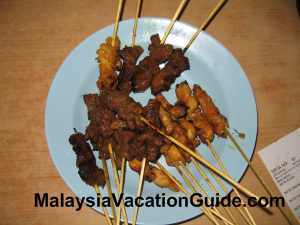 The all you eat buffet is usually on offer during the weekdays or when the demand is low. 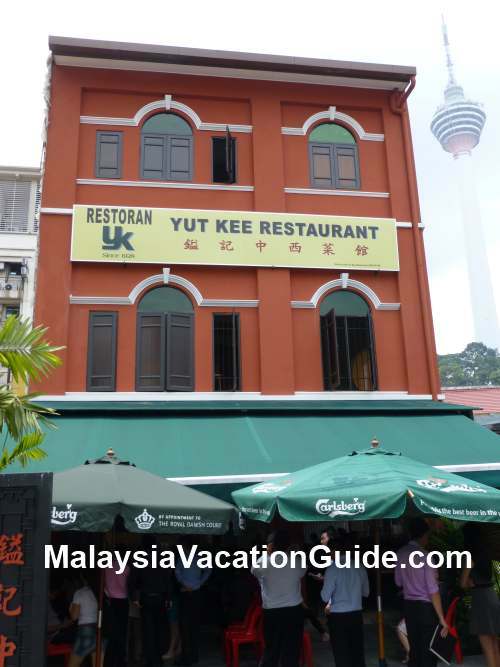 The price ranges from RM20 or more depending on the offer for the day. If you are interested to try, call the stall to enquire. 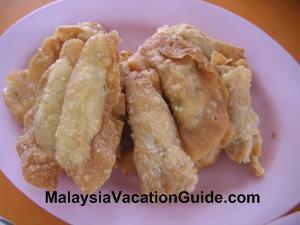 Musang King - notice the STAR shape to differentiate them from other varieties. 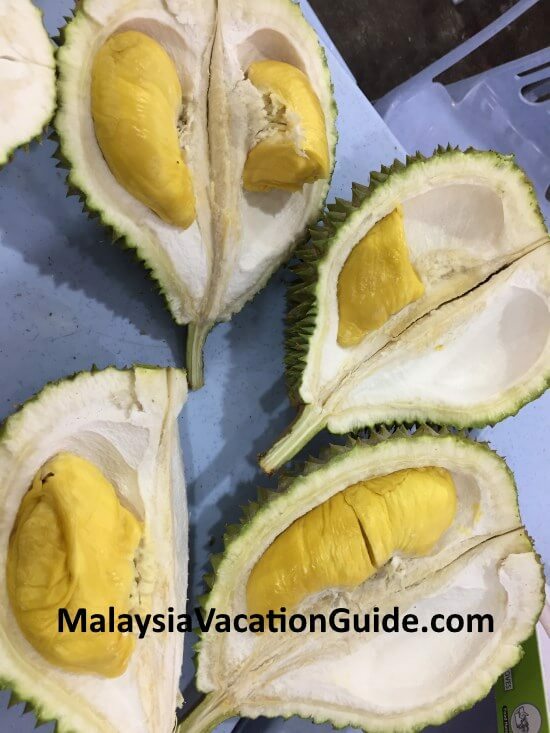 Musang King - Yellow flesh durian is usually nicer to eat compared to the white types. This stall is crowded when the fruit is in season and during the weekends. 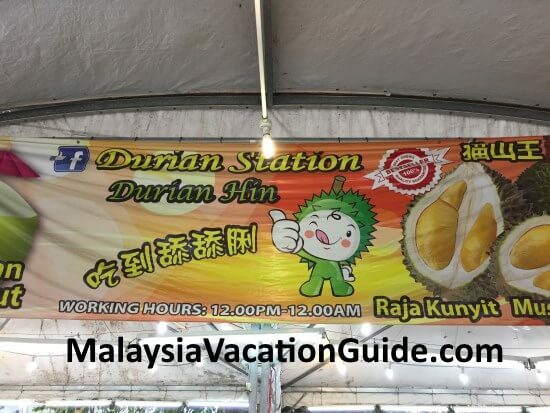 Another stall known as Durian Station which is located just beside the Durian SS2 stall.